I’ll be happy to make room on trafficways.org for anyone who wants it to download it. Please drop me a line. Seems like the kind of thing archive.org would be happy to take on too. I am Bolei, graduate student in MIT specializing on data mining. 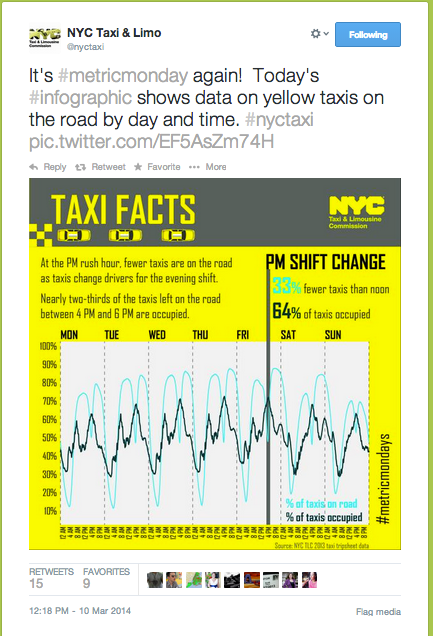 Recently I am developing a trajectory clustering algorithm and would like to evaluate it on the NYC taxi trip data. 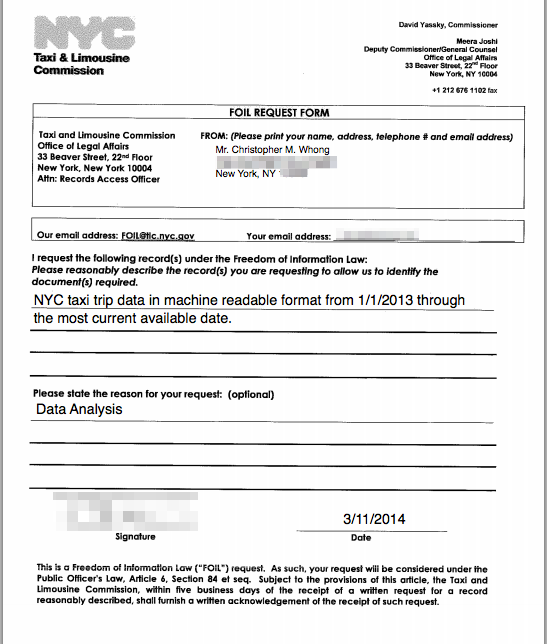 I am wondering whether I could directly download the NYC taxi trip data from you? thanks. I foiled the data by myself. 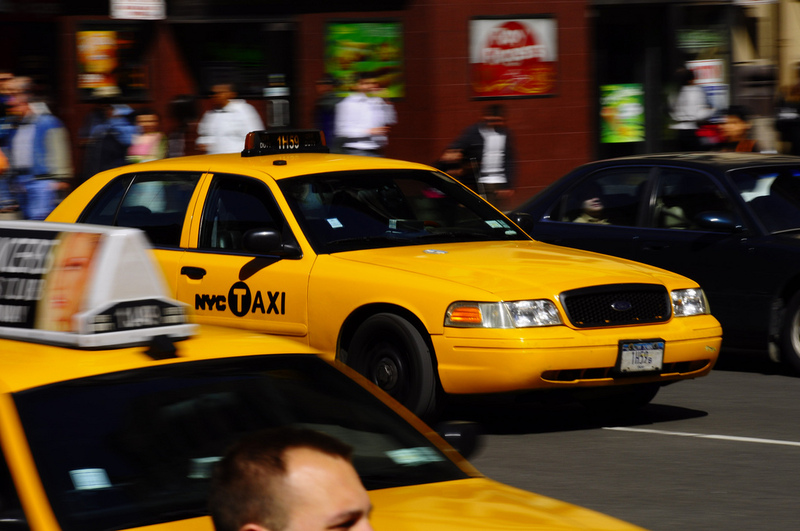 I got 2012 and 2013 NYC taxi trips. Thanks for the guide of this post! Is the tip amount $0.00 because people are cheap or is it because drivers are taxed on their cash tips and self report the amount? Often times waiters in restaurants receive zero tips because then Uncle Sam gets a tip too. I’ve worked with this data before in graduate school (I worked with Juan who made the vimeo video) and I noticed that the tips were usually $0 with the cash rides. I only looked at samples of the data, so it might’ve been the samples, but it also might be because they don’t report cash tips, similar to restaurant workers. Done. Links in my post. Done. Links to torrents in the main post. 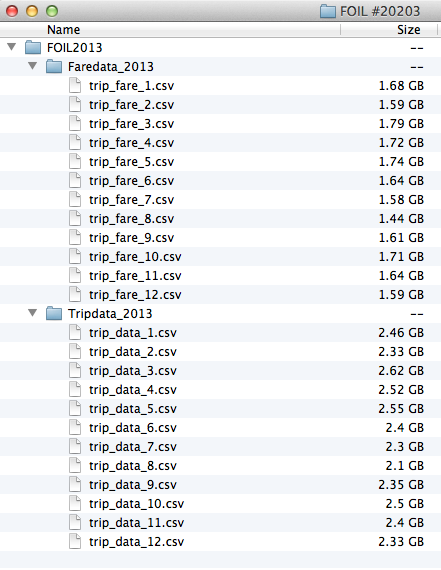 These data are for yellow cabs only. 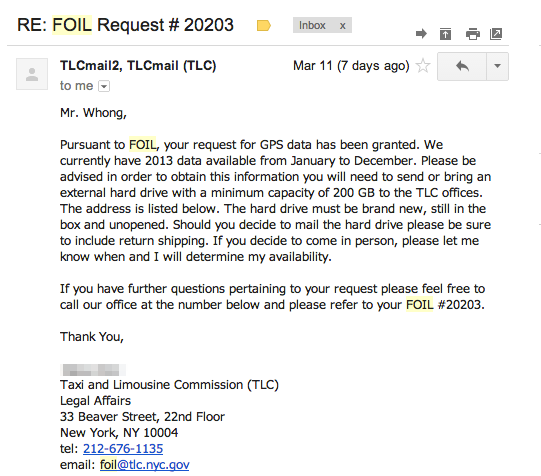 The files are mirrored to archive.org at https://archive.org/details/nycTaxiTripData2013 (click the “All Files: HTTPS” link or use the torrent to download them. Thanks for sharing! Awesome! Does archive.org just make this page on its own, or did someone “tell it” to archive these files? No and yes… I don’t know how far back it goes. I do know that they have green cab data but are not making it available yet. I would try FOILing it using the process I described here. I would tweet at the TLC… see what they say. Jason Hall uploaded them to BigQuery. Dataset ready to be analyzed for free, instantly (once you create your account, you get a free monthly quota to do so). Thanks and congrats on getting this on torrent! Here’s my python code I used to work with this data. https://github.com/tswanson/TaxiNYC2013 There was a lot of work to filter out junk and outlier data. Very nice work and thank you for making this easily available. I’m not sure if Uber got this data, analyzed it and kept it private, but if they didn’t I’m pretty sure they are not an $18Bn. company. 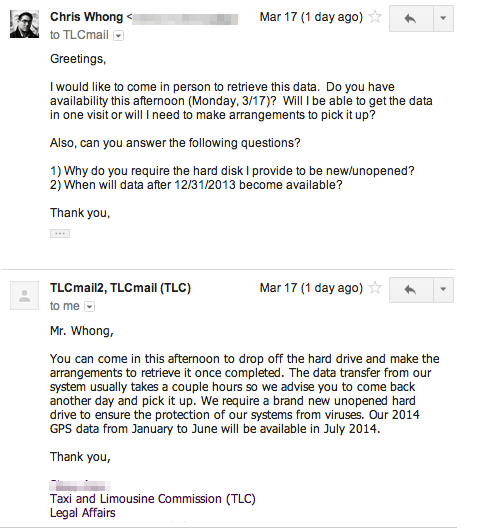 Also if I were the NYC TLC I’d probably lobby that Uber make their data open like this. They’ve basically improved their knowledge of customer flow by 170MM customer transactions. That’s amazing to do in a few afternoons of work. I would like to see data from the thousands of ride-sharing cars operating in NYC. essentially in the same exact market ?? 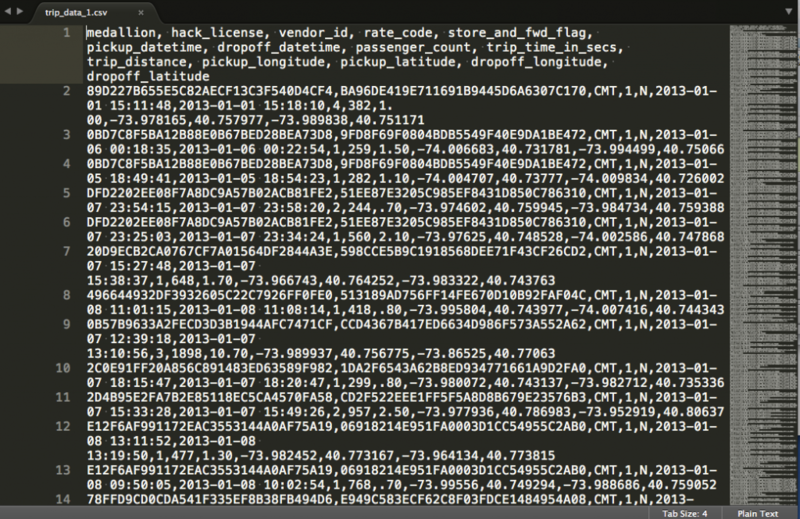 If we identify each trip across both the fares and trips data sets would they match on a combination of Medallion and Pickup_DateTime? FYI they have way more than one year worth of data; they handed a student from our research group data dating back to 2009. Time to fill out some more FOIL forms I guess? Or you could just have asked the guy you talked to if he could include more years. They have those CSV files already exported anyways. most of the rides have 1 passenger ! i have a server with gigabit full duplex (in europe). i want to support this project and would like to sponsor some links. Chris write me to my email(!). or should i post some links here as a comment? I think the links could be embedded on the main page.